Jack was killed September 11, 2001 in Tower One of the World Trade Center. We have a foundation in Jack's name that helps kids who have lost opne or more of their parents as well as kids in need of some financial help. To date we have raised over $100,000 for the foundation. We have agolf ouoting every September in northern NJ so please let me know if you woudl like to attend the outing or support the foundation. We are also looking to start a scholordhip at PHS in Jack's name. 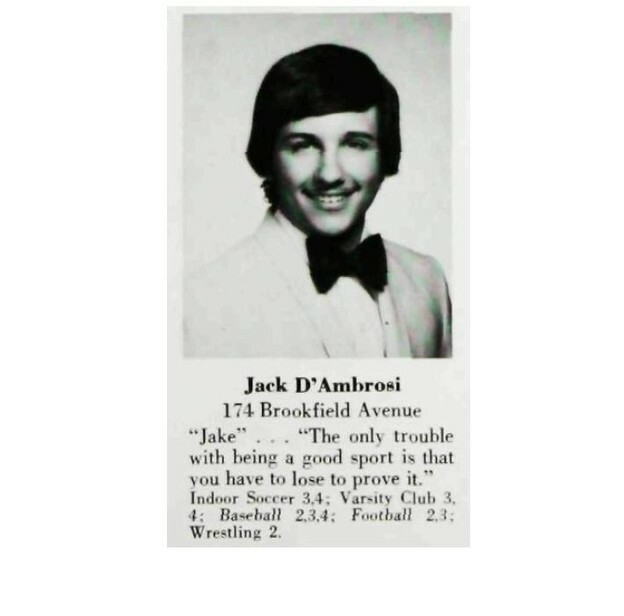 The 10th Annual Jack L. D'Ambrosi Jr. Memorial Golf Outing will be help October 17, 2011 at the Paramus Golf Course. The day includes an 11:00am Shotgun Start, Lunch, Golf, Driving Range, Open Bar all day, Dinner, raffles and prizes. The cost is $150 per golfer or $500 per foursome ($125/golfer). We also have great sponsorship opportunities available. Visit http://sites.google.com/si?te/jldmemorialfund/ to download the registration form. The JLD Fund supports children that have lost one or both of their parents as well as kids that have suffered a tragedy and need help. To date we have distributed over $100,000 to help kids. We are also in the process of establishing a scholarship at Paramus High School in Jack's name. Come out for a great day of fall golf and you'll see a lot of your old freinds and classmates. Thank you and we hope to see you on October 17th! To a man with a beautiful heart and soul and loved by all....On this 15 year Anniversary you are still in the thoughts and minds of many. May you be at peace in God's Loving arms.